And “truth and reason” do not always favor one side. No one has such a lock on truth like that. Both the Left and Right have agendas, and are neither all good or all bad (and thus the cause of ALL problems such as this). Everyone has high emotion in issues like this and skews reality to justify themselves or demonize others. For one thing, conservatives have been claiming to be “victims” a LOT (—of all these people getting these “freebies” off of them, while ignoring the real powers getting and controlling the money), and have been even louder about it. Everyone thinks they’re “entitled” to things. This whole “culture not race” notion is basically demonizing largely the same group of people under a different premise (and one that this time, any given individual can cross out of, but it does still end up tagged on a “race”, that contains this large group of people deemed as “victims, entitlement, dependent, irresponsible, jealous” etc, and thus only wanting “freebies”, and thus not up to “par”). If the left is so wrong to “hustle” race through generalizations, then trying to throw more generalizations back at them is only perpetuating the problem. Some “generalizations” are more accurate than others. It is not blaming blacks to say that the liberal agenda has decimated the black nuclear family and created a culture of both victimization and dependency. Any group of people – irrespective of race – would follow the same direction. The point is to correctly identify the problem – which conservatives diagnose more accurately than liberals – and then solve the problem. 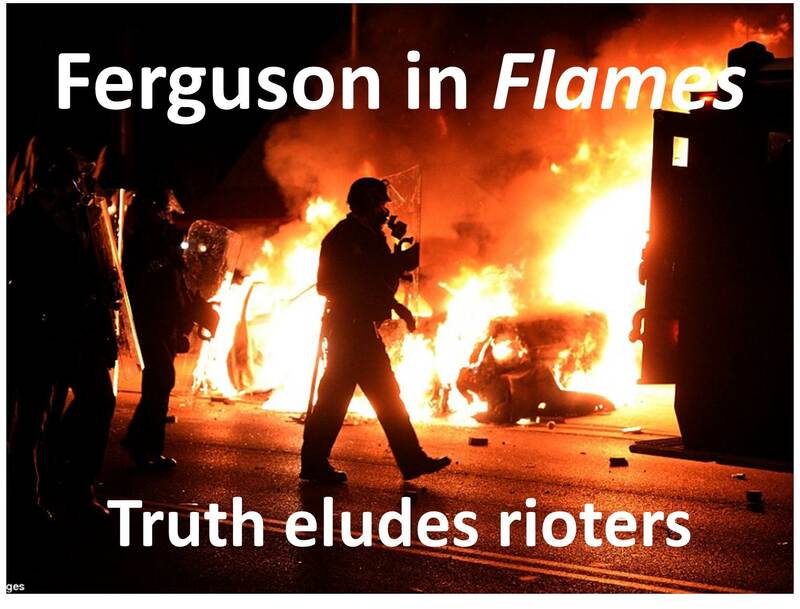 Race-mongering, riots, arson, violence, and murder exacerbate the problem and actually distract us from the solution. But I think this particular generalization is a bit of an overgeneralization. And even though it is being redirected toward white liberals, a lot of people do still end up spewing all this anger at the black “community”, for being so [all those terms used] and not just the youth (that’s who’s mostly the issue), but also everyone else, not correcting them. So we end up with this mass blame, that these “takers” are getting ALL the money in society (at the hand of the liberals), and that’s where we really begin going off track. The problems are a bit more complex than that.